Securian Health Insurance Company is actually known as Securian Financial Group or Securian Life Insurance Company; however, they will be called Securian throughout this article. Although they do not provide health insurance, they do offer dental insurance as well as life insurance and financial investments. With almost 10 million members nationwide, and nearly $700 billion of assets backing life insurance, you can rest assured that you will be in good hands. Health insurance has improved over the years, and you should look into various health insurance quotes to make sure you are covered in the event of an accident. Enter your zip code for an up to date quote and find out the benefits of health insurance coverage. With this plan, if you are a small company (2 or more employees) you can sign your firm up for an indemnity plan. If you were unsure, indemnity means protection against damage or loss. With this coverage, your employees will receive 100% coverage in regards to preventive care, and enjoy the freedom of selecting any dentist in America. If you have more than 25 employees within your organization, the price per employee will go down significantly. Finally, there is a lifetime deductible, which means that as long as they stay a member of your company, and a subscriber of the dental insurance, they will only have to satisfy their deductible once, throughout their entire lifetime! Offered in all 44 states where Securian offers its dental insurance services, is the PPO plan. This plan offers many of the same features as the indemnity plan, such as the freedom to see any dentist in the country, and 100% of your preventive care will be covered in-network. Other services are available within the PPO plan, just like the Indemnity plan, such as optional orthodontic coverage and worldwide emergency coverage. There are numerous advantages to staying within the Securian “DenteMax” network of providers. The first, clear-cut advantage is that the insurance provider as a reputable and recommended professional has cleared these dentists. Second, when you stay in network, you will pay lower out-of-pocket costs, and many of your procedures will be covered. Finally, you have predetermined negotiated fees when you stay within the network, for any procedure you might encounter. If you are looking into life insurance policies, however, you believe you will only need it for a specific number of years, you can choose to sign up for a term insurance policy. Throughout this policy, your premiums will remain the same, and the policy will only be paid out as death benefit. If you’d like to treat your life insurance policy as a cash investment, permanent life insurance might be an attractive option for you. These policies have a tax-advantage, that allows you to withdraw money from your policy, tax-free, in case of an emergency, or if you’d like a supplemental income after you retire. In addition, with a permanent policy, you have the option to pay the same premium throughout the life of the contract, or, you can have an adjusted premium rate based on your varying budget. To learn more on the different permanent life insurance policies, visit https://www.securian.com/Securian/Individuals/Life+insurance#term. There are two main categories of annuities, immediate and deferred. An immediate annuity offers you a consistent stream of income, guaranteed to begin no later than one year after purchase. The lump sum of money is converted into payments, which you can choose to receive from annually all the way down to monthly. A deferred annuity, is a tax-free investment, and allows you to grow your income while avoiding any taxing. To find out more on the various types of deferred annuities, visit https://www.securian.com/Securian/Individuals/Annuities. Securian wants its members to know that they too, have a backup plan. They have brokered a deal with Minnesota Life that has allowed them to continue operations even if something were to disrupt their normal course of business operations. The plan includes an alternate location that is ready 24/7, and fully staffed with persons who can get normal business operations back up and running within 24 to 36 hours. They also have a redundant setup that consistently tests business applications as well as a data warehouse that backs up all paper documents. If you are looking for health insurance quotes in your area, please enter your zip code to begin your search today! I have never written a review because I am rarely that dissatisfied with service, but Securian has provided so much frustration for me that I have been taken to the limit in which I will have to write a review so as to make people aware. First, I want to make it clear to be VERY clear with Securian upon enrollment in regards to what your policy means. Obtain all the documents you receive when enrolling, ask questions, and get a clear message from your employer and a Securian representative. Even so, I feel as though I did the same thing, and in the long run had to pay $1000+ out of pocket due to not being correctly informed about my coverage. I was told by Securian, my employer, and dentist that I had $1000 of coverage for the year, that routine cleaning was free, and that I was covered up to 80% on “major” procedures. That sounds great–sounded great to me upon scheduling an emergent procedure as well! I had a throbbing toothache, in which I waited until I received dental coverage through Securian (it took 90 days for me to even get insurance through my employer). I immediately inquired about the root canal procedure found out the coverage stated above, then booked my appointment. I paid my portion of the procedure, which was to be 20% and left the office feeling quite relieved. Approximately 2 month’s later, I am notified by my dentist that Securian would not be covering anything due to a waiting period of 12 months! I now had to pay out of pocket for the whole procedure which was over $1000. As a working citizen in America, that waited long enough to get dental insurance, I had to wait 12 more months to even get covered for a root canal. This is extremely nonsensical, especially in this country where health and dental coverage should be plentiful. In any case, I appealed this as it is highly incomprehensible to me that this should happen, especially when I wasn’t given a clear message from Securian regarding my coverage. They should never allow someone to go into a procedure without being 100% sure of how a patient is going to be covered. This system provides for Americans to fail time and time again. Upon appealing, I was rejected. I didn’t know I was rejected for approximately 6 months, as I received a letter in the mail from my dentist stating they would have to submit my balance to a collection agency if I didn’t make a payment. thus, I made a $100 payment and contacted Securian again. They put me through this intense, secure portal where they are to keep track of my messages more “efficiently,” Through this portal, I appealed again. They sent me a booklet of the policy, and stated I was rejected again. Why would a booklet of their policy help at this point? Also, when requesting signed documentation from me, I was given nothing. So, how do I even know for sure what policy I did sign up for? Why was no paperwork given to me? Why did Securian not directly contact me or my dentist before the procedure was done in order to ensure coverage? This is most horrific situation that is happening all over our country. I understand I am not the only one trying to fight for my health and budget, and I realize writing a review is maybe all I can do–which is a shame. Securian did follow up with me today (it has been over a year since the procedure has been done) and informed me that I can go to the Department of Insurance to fight this again. I plan to do that, as I do think this is a SERIOUS problem. I could have formed an abscess and was in severe pain for several months waiting on coverage. According to Securian policy that I am still not clear of, I would’ve had to wait another year with that pain if I wanted coverage. With that said, do American dental insurances want patients to worsen themselves so as to get more money in the end? Moreover, we as Americans have to wait to get covered while the problem gets worse, making it a bigger procedure so insurance companies can get more money. I’m left with this opinion due to Securian’s response to my issue. Some may say, “just pay the $1000+ bill and get over it.” Well, I think it is a situation beyond just money. I think that we need to be covered as a working American citizen and also be informed so we won’t be put in a situation where a huge bill is due unexpectedly. I am now working for another non-profit helping homeless veterans get housed and employment. I am enrolled with another low-cost insurance company (among the same tier of insurance as Securian) and am experiencing a completely different situation. Lincoln Financial is who I currently go through, and they are efficient at communication with me and my dentist, and do an amazing thorough job. I have needed a lot of work on my teeth, and have had to wait for coverage to do so. Thankfully, I now have proper coverage—I’m just still waiting on the proper feed back from Securian, which after a year of waiting, I doubt I will get. Now, time to write to the department of insurance! 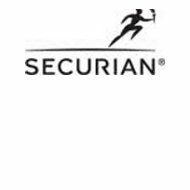 Securian– you’ve made me work hard to fight for what is right, I can only hope you can move forward and treat your policy holders correctly from now on.